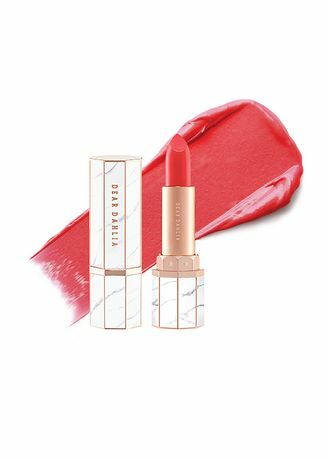 Lip Paradise Intense Satin Combines Plant Based Natural Ingredients With Skin Conditioning Properties Of Dahlia Variabilis Flower Extract To Naturally Nourish Lips. Rich And Creamy High-Pigmented Moist Formula Gently And Continuously Wraps Your Lips Without Dryness Or Flakiness. Lips Are Skin Too! Protect Your Lips From Ultraviolet Rays Without Sensitivity While Maintaining Ultimate Color And Moisture. Enriched With Dahlia Variabilis Flower Extract And Nourishing Ecocert Certified Organic Oils And Butters To Create Intense Hydration And Luscious Satiny Texture. Formulated Without Using Nano Particles, Sulfates, Or Silicones. Parabens, Pegs, Or Phthalates. Synthetic Fragrance Or Eu/Usa Banned Color Pigments.. No Animal Ingredients Or Testing.